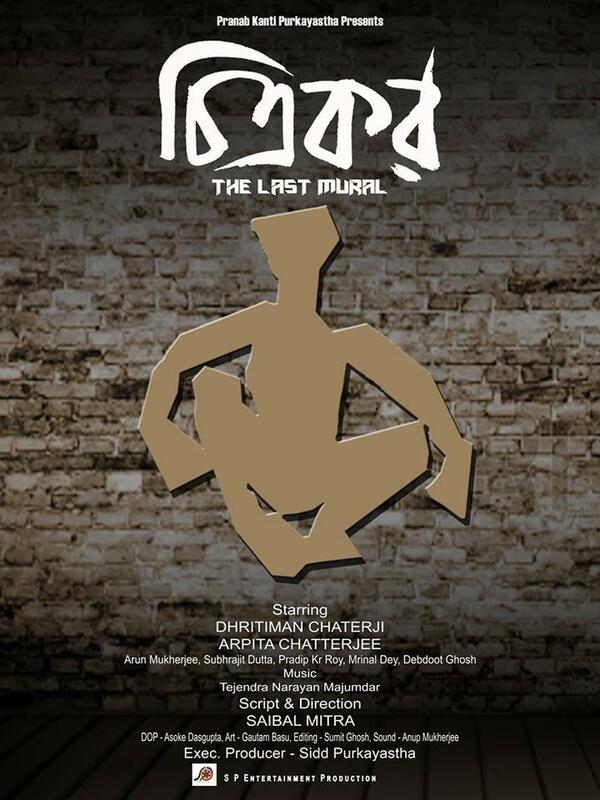 Saibal Mitra‘s Bengali film Chitrokar aka The Last Mural is part of the Indian Panorama section at the ongoing IFFI 2016 at Goa. It is also featuring in the competition section at the prestigious International Film Festival of Kerala which is scheduled from 9-16 December. Produced by Pranab Kanti Purkayastha, written and directed by Saibal Mitra, Chitrokar features Dhritiman Chatterjee and Arpita Chatterjee in the lead along with Arun Mukherjee, Mrinal Dey, Pradip Kumar Ray, Debdoot Ghosh, Subhrajit Dutta etc. The film has music by Pt. Tejendra Narayan Majumdar while Asoke Dasgupta is the DOP and Sumit Ghosh is the editor. The creative eye goes deeper than the mechanics of eyesight. Blind painter Bijon Bose spent much of his life inspiring students by bringing stories to life through his paintings and idealism. His life is interrupted by a proposal to create a mural for an exclusive restaurant in the city of Kolkata, a journey that brings young strong-minded painter Tithi into his life. Their relationship unfolds through the lines of the mural, as they struggle between generations and life philosophies. Bijon’s once clear lines of artistic integrity are troubled by Tithi’s realism, as he grapples with his role and responsibility towards the life of his work beyond the brush. Bijon’s blindness never stopped him from creating beauty. And now he is asked to see the world around him more clearly than ever before. For whom does a painter paint? For those who can pay? When a mural and the painter that created it start being a commodity? Chitrakar, presents this tension between Art & Market.